Rich, creamy cherry with velvety amaretto notes and studded with dark chocolate flakes. 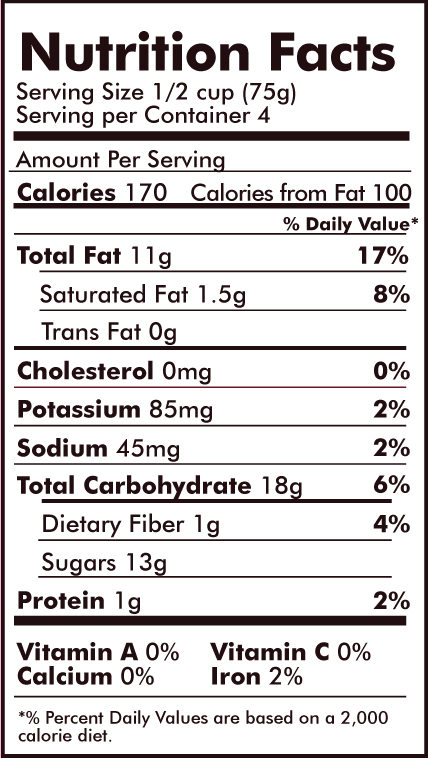 Our Cherry Amaretto is made with real organic cherry juice from Washington State. 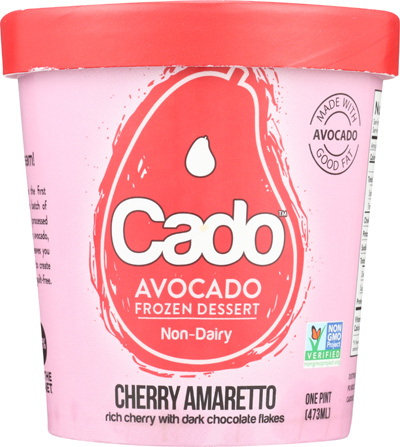 INGREDIENTS: ORGANIC AVOCADO PUREE (WATER, ORGANIC AVOCADO), AVOCADO OIL, ORGANIC CANE SUGAR, TAPIOCA STARCH, ORGANIC CHERRY JUICE CONCENTRATE, CHOCOLATE FLAKES (POWDERED CANE SUGAR, UNSWEETENED CHOCOLATE, COCOA BUTTER, SUNFLOWER LECITHIN, NATURAL FLAVOR), SEA SALT, ALMOND EXTRACT, ORGANIC GUAR GUM, ORGANIC GUM ACACIA.